In the scholastic world's quest to pinpoint new "literacies," one of the most essential skills in a student's toolkit isn't new at all. 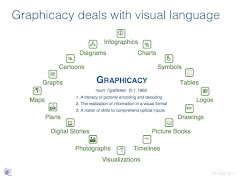 "Graphicacy" is the vital proficiency with visual inputs that all learners must master in the modern classroom. Graphicacy refers to the encoding and decoding of images, particularly in the close examination of details that construct visual meaning. It stands with literacy, oracy, and numeracy as one of the four indispensable corners of education. Graphicacy dates to W.G.V. Balchin's coinage of the term in the 1960s to identify the visual-spatial aspect of human intelligence. What began as a staple of South African geography education has ballooned in importance thanks to the onslaught of learning and entertainment media that all rely on optical displays. 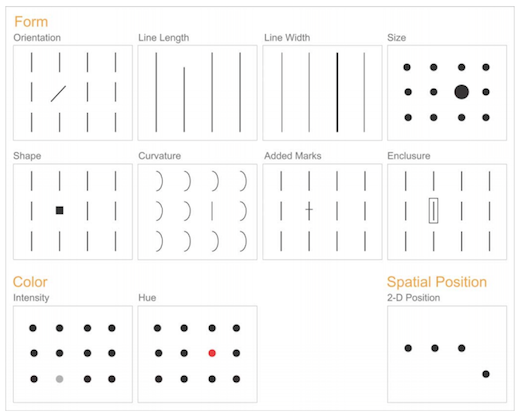 Especially in today's 1:1 classroom, with hand-held devices and ubiquitous smartphones, the understanding of visual patterns and pictorial cognition is imperative. 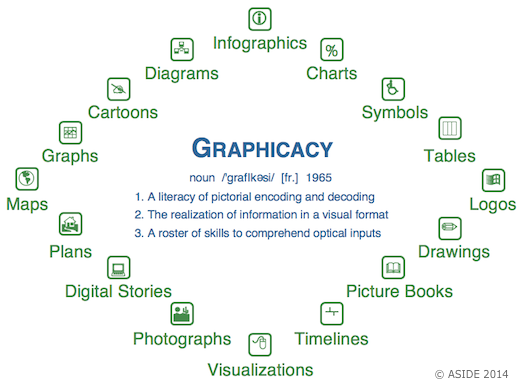 Graphicacy is about more than visual thinking. It is instead a careful roster of skills to comprehend diagrams, photographs, charts, logos, icons, maps, and picture books. With today's rightful emphasis on differentiated instruction, contemporary classrooms need to incorporate coaching in graphicacy to reach students via their learning preferences. One key to guiding students in understanding graphs and drawings is teaching them about preattentive attributes. These are the visual marks that the mind's iconic perception unconsciously absorbs. Preattentive attributes are quickly discerned by the eye and rationalized by the brain to distinguish size, shape, color, and alignment. Visual designers employ preattentive attributes to make tables readable and logos memorable. Stephen Few offers a clean, expert tutelage in the keys of preattentive attributes in "Tapping The Power Of Visual Perception." His graphic (above) presents some of the core distinguishing techniques used in both creating and interpreting images. 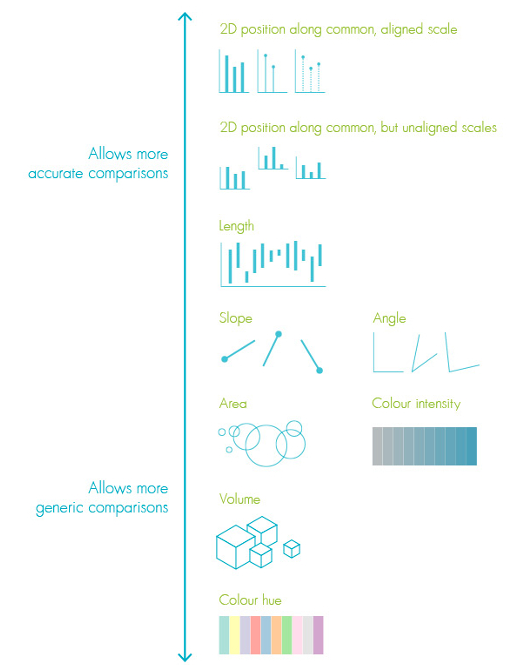 Another valuable graphic (above), which combines single attributes into coordinated displays, is featured in Graham Odds excellent explanation, "How To Design Better Data Visualizations," at the Creative Bloq. Taken from the work of William Cleveland and Robert McGill and published in Alberto Cairo's book, The Functional Art, this illustration is terrific for teachers to use as a tool in laying out the building blocks of visual comparisons. 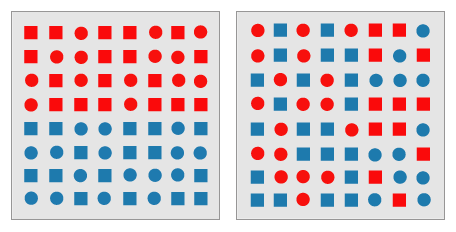 Students can apply the techniques of the optical continuum to decipher political cartoons, historical maps, and scientific displays. Dustin Smith also highlights the value of this graphical instruction at his superb blog. To catch students' attentions and open their eyes to the power of subtle attributes, we recommend Jason Silva's masterful video, "To Understand Is To Perceive Patterns." In zippy, dynamic narration, Silva races through a visual blitz of naturally occurring frameworks and motifs. It's fascinating and mind-boggling for any viewer. Graphicacy: The Neglected Fourth "R"
Our kids are dropping like flies. Each day has seen three or four more names added to the long list of children absent from school due to an aggressive cold and flu season. We, too, can't seem to shake our hacking coughs, lingering headaches, and clogged sinuses. The feisty contagion of this wintery bug has sent us looking to maps and graphics to find out if we are alone in our viral vortex and if frigid weather really does exacerbate cold symptoms. It turns out the Center for Disease Control collects pinpoint data on the spread of cold and flu viruses and disseminates a weekly "Fluview" report to track the trends state-by-state. 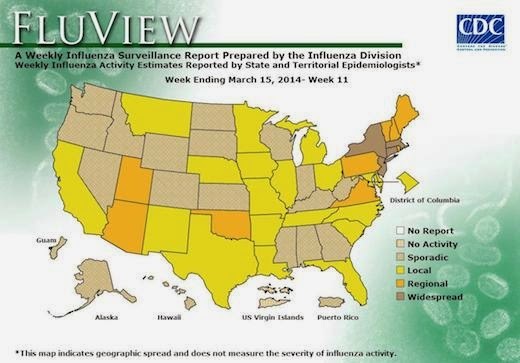 According to the latest map, our state of New York is indeed a phlegmy brown color, indicating "widespread" illness. 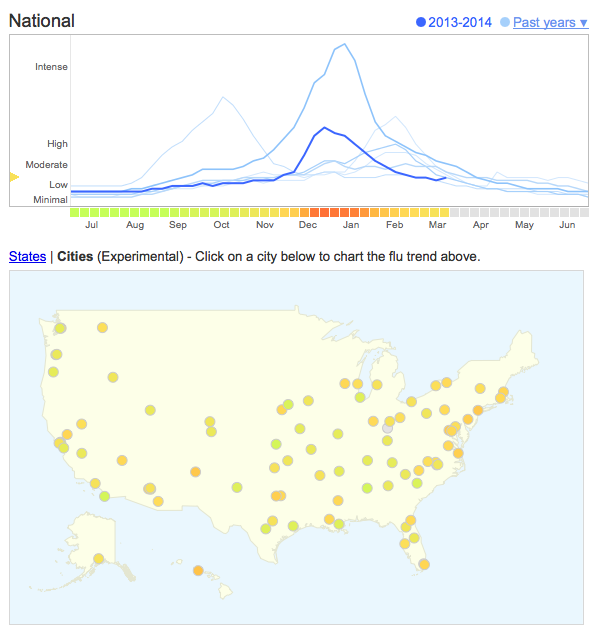 Google.org also publishes a "flu trends" map, based on certain search terms that are deemed indicative of cold activity. Google's version is searchable by state, city, and year, and it can also be animated in Google Earth. One intriguing resource we stumbled across is Sickweather. This crowdsourced hub attempts to scrape social media sites like Facebook and Twitter to glean mentions of sicknesses, doctor's visits, and red-flag disease words. The site then compiles cold and flu references to create an "online social health network" that updates itself in real time. 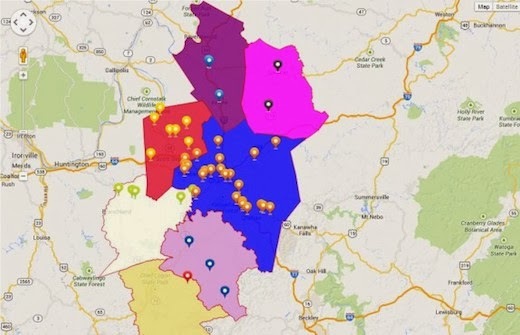 This forecasting and mapping of regional flare-ups is terrific for teaching students about epidemiology and outbreaks, not to mention basic geography skills of symbols and visualizations. Finally, The Infographics Show has put together a terrific motion graphic to explain the myths and realities of the "Common Cold." 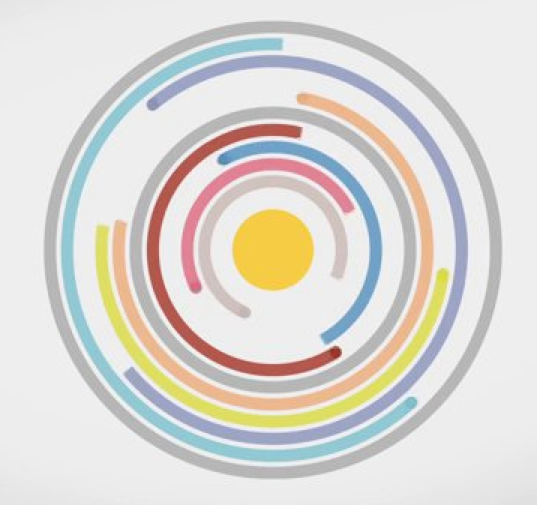 This animated clip by Andrej Preston offers a great overview of how germs are spread, along with a collection of data about predictable infection rates. This video would be an excellent companion to a biology or health lesson. Sometimes when we get caught up in the day-to-day activity in our classrooms, we overlook something important. We celebrated Pi Day last Friday, and St. Patrick’s Day on Monday, but missed the Ides of March over the weekend. We are not talking about the infamous line in the play Julius Caesar by William Shakespeare. Instead, March 15 marked the third anniversary of the civil war in Syria. Right now, the news is preoccupied with the missing Malaysian jet. Even the crisis in the Ukraine has taken second stage to the airplane mystery. While this is an urgent matter, little attention to other newsworthy information seems to make the evening news, particularly about Syria. Is it that old? Too boring? Not current enough? Perhaps this is why several powerful videos surfaced to help us think otherwise. In the video “With Syria,” street artist Banksy and movie star Idris Elba collaborate on a new awareness campaign for the victims of the conflict. Banksy’s iconic “Girl with the Red Balloon” is carried above and away from the reality of the horrors below. "With Syria" includes over 130 humanitarian and human rights groups joining together in solidarity for this to be the last anniversary of conflict in Syria. 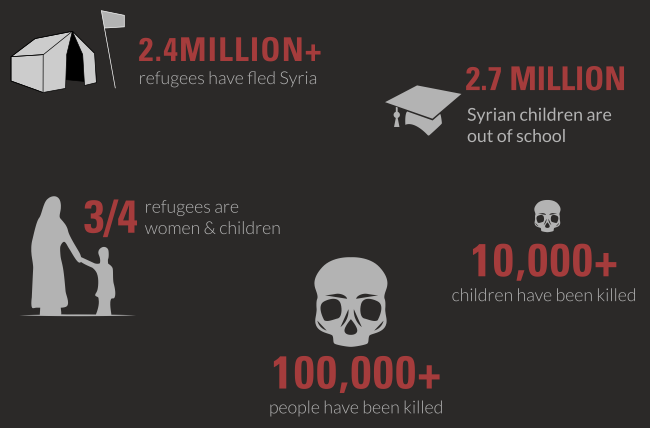 These media pieces specifically focus on the most vulnerable in the Syrian crisis, the children. In an earlier post, we featured visual resources to help our learners understand the civil war. One of those was the video by Simon Rawles, entitled "Syria's Lost Generation," which highlights the plight and suffering of children in a straightforward documentary format. The videos in this post are different from the one created by Rawles. This is particularly apparent in the Save the Children clip, entitled the “Most Shocking Second A Day Video,” when a child’s world is turned upside down as a result of war. What if Britain were Syria? By design, it deliberately pushes us emotionally, leaving an uncomfortable, haunting feeling. While both appeal to our emotions, the messages were constructed for different purposes. Side by side, they make for a strong media literacy lesson on technique and the power of persuasion. Save the Children also produced another video narrated by Stephen Hawking called “I’m Giving My Voice.” In essence, Hawking is giving his voice to those who don’t have one in this civil war, the children. The inherent qualities of the videos in this post are designed as media messages to keep a focus on arguably the worst humanitarian crisis in recent memory. Perhaps, too, it’s time to take advantage of the media and challenge networks to keep all crises front and center whether it’s Syria or the Ukraine. Moving from one hyped event to another should not make anything so serious less newsworthy. In the spirit of St. Patrick's Day, many of us will don green even if we are not Irish. The Irish diaspora around the world makes it hard not to feel a little Irish on March 17. 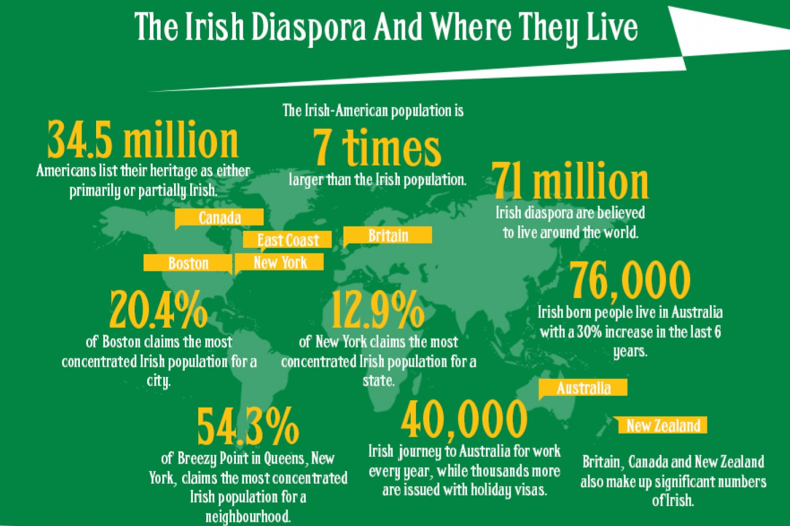 In fact, the Irish population in the United States is seven times larger than that of Ireland, and approximate 71 million live outside of the country. Our students join in the fun, just like they do wearing red for Valentine’s Day or orange and black on Halloween. As always though, we try to look for ways to tie in the humanities. The history of St. Patrick and his role in converting the Druids to Christianity is as much a mythological tale as it is a historical event. We gathered some resources here to use with our learners. Each of the motion graphics gives just a little insight into the day, the man, and of course the parade. One of our favorites is the video, the History of Saint Patrick – A Short Story, by Jeremiah Warren. 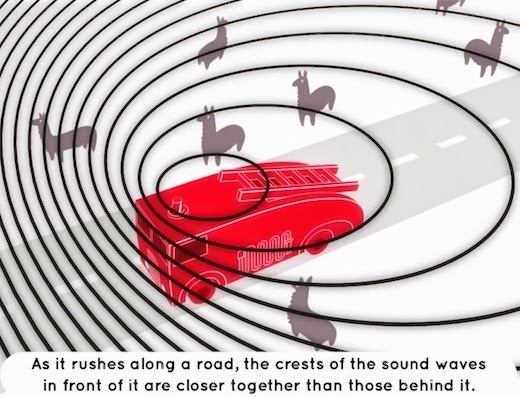 It’s quirky, quick delivery reminds us of the entertaining videos our students love by CGP Grey. Another short film featured on the History Channel is Bet You Didn’t Know: St. Patrick’s Day. Close to a million Irish fled to the United States in the 1840s because of the Great Potato Famine, settling in major cities along the east coast such as New York and Boston. As a result, demonstrating Irish pride grew, making New York’s St. Patrick's Day parade one of the largest in the world. The video, Who Was St. Patrick, produced by Rose Publishing as part of its series called Christian History Made Easy provides an engaging and entertaining look at St. Patrick's place in Irish and Christian history. As always, we continually use infographics with our learners as a way to revisit the design of information as an engaging way to break down the facts with text, images, and graphics. A new one we came across for this season is St. Patrick’s Day And How The Irish Took Over The World When No One Was Looking. It combines a blend of information on celebrations, population, customs, culture, and inventions. The content easily connects to a host of curricula areas as well. The conceit of the flipped classroom is rapidly becoming mainstream. 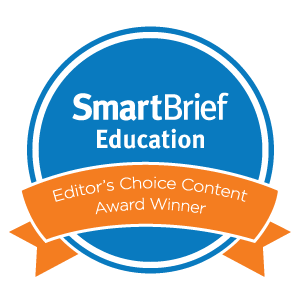 The idea of using audio and visual content to pre-teach a lesson has resonated with educators nationwide. Teachers across a range of financial and technological considerations are inventing ways to rethink their students' engagement with homework. Maybe this is because the "new" idea of homework is really an old idea. On one hand, "flipped" learning is really just good teaching; it makes productive use of children's time at home, rather than wasting their personal hours with rote worksheets. On the other hand, flipping the classroom means letting students sort through essential content at their own pace and time. The ultimate goal is to make fruitful use of shared class hours. As a result, this communal time can elevate basic material to richer discussions of cause-and-effect, sequencing, hypothesizing, and producing. At its simplest, a flipped format can involve a teacher inviting students to view YouTube videos at home as a preview to the day's topic. At its most rigorous, a flipped curriculum involves teachers writing, producing, directing, editing, and posting their own original lessons -- complete with custom narrations and visualizations -- via third-party applications. Luckily, for the everyday educator who walks a practical balance between innovative learning and daily time constraints, there is a middle ground. 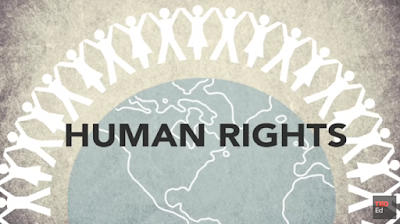 Many designers and progressive thinkers have created dynamic videos to use as teaching tools. 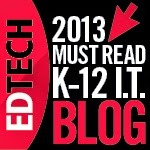 Motion graphics can be superb resources to lure students into new topics with riveting artistry and clean animations. "The Solar System - Our Home In Space" may be the most elegant use of simple motifs and effective graphics that we've ever seen. Described as "an infographic trip through the wonders of the solar system," this creation by design team Kurzgesagt leads viewers through a lucid and visually graceful narrative of earth's neighbors. Even though we're not science teachers, we've shown this to our advisory groups, our enrichment kids, and anyone else who had a spare moment. "Measuring The Universe," by the Royal Observatory Greenwich, sounds like another space video. But really it's about the fascinating world of mathematics and scale. It offers up the cosmos as a fitting subject for analyzing the intricacies of measurement and distance. It's a carefully constructed visual piece, but even more, it's a boon for math teachers trying to reel in the imaginations of sky gazers. "For The Love Of Mountains" sounds like a nature walk through North America's fondest trails. Instead, it's a tribute to both geography and geology. Created by Al Boardman in collaboration with Visual.ly, this video is a lyrical study of the extremes of earth's mountains. It compares facts and figures about earth science and human conquest in an appealing flat design. It blends clear labels, fascinating details, and sensitive music to captivate students of any age. forest - english ver. from DESIGNERS APARTMENT on Vimeo. The "Forest" video from Designers Apartment is as much a study in ecology and environmental science as it is a testament to original artwork. The angular visualizations present a landscape of woodlands and species. The 2D planes render a striking portrait of 3D biology. With the layer of soft musical notes and the fine attention to detail, it's a terrific set-piece for classroom discussion. When most people think about maps, they think of social studies worksheets or antique dealers. They might also remember the avatar on their Waze app or the time they got lost in Amish country. In truth, maps are emblematic of mankind. The act of mapping is about trying to locate oneself within a geography of space and emotion. The human impulse to pinpoint "place" is about giving order to a complex topography of physicality and personality. Today, easy access to data and technology has opened a door to a new host of personal map renderings. Interactive, customizable tools allow individuals to create a visualization of his or her own depiction. For this reason, maps are the new meme, more prolific than ever. In fact, the Wired article, "Uncharted territory: amateur cartographers fight to put their communities on the map," highlights a crowdsourced project called OpenStreetMap that aims to compete with Google's "authoritarian" "agenda" by putting the power of place back in the hands of local inhabitants. One of our favorite initiatives is Historypin. 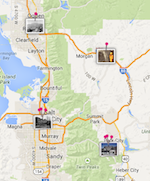 This site (and mobile app) overlays historical photos on top of contemporary maps. Users can explore how their home town looked in past centuries, or they can compare snapshots of a same location across time. With searchable archives by both setting and time, students can comb through the existing collection or upload their own contributions. For designers and programmers, another clever tool is Stately. 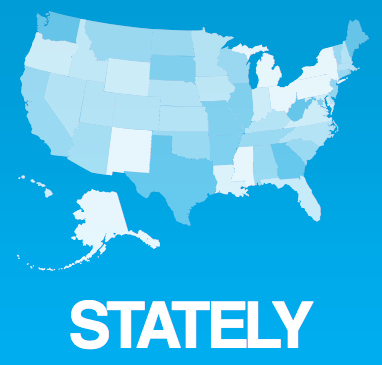 Stately is a symbol font. A simple keystroke of an uppercase or lowercase letter generates each state on the screen, sized and positioned perfectly within a scaled map of the United States. 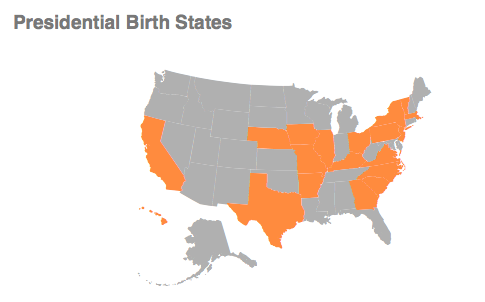 As a font, the states can be sized and colored to meet any specification. This ease and flexibility are perfect for rendering infographics, and they also invite possibilities for shaded regions of colonial development or visualized statistics from the Census. Another data-rich resource is Mapline, formerly known as Topo.ly. This tool allows anyone to build a map from Microsoft Excel spreadsheet data. Major companies use Mapline to visualize store locations on their web pages. Journalists build heat maps of trends and figures. Political scientists drill down on electoral results and polling statistics. For their part, students can take advantage of our favorite reference series, The Almanac Of American Life, to chart a changing America.